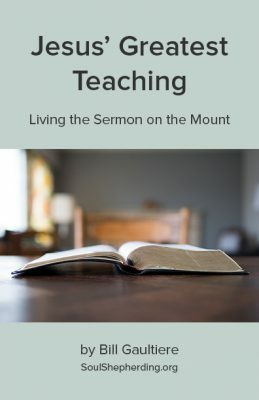 Here’s a fresh reading of Jesus’ Sermon on the Mount and a tool to apply it to your daily life. It’s based on insights gleaned from reading and implementing The Divine Conspiracy by Dallas Willard. As Jesus Christ’s apprentice you’ll receive the blessing of participating in the Kingdom of the Heavens and his affirmation of your ministry. You’ll gain insight and power to overcome problems with anger, lust, deceit, and relational conflict. You’ll discover how to find your security and peace in the Father’s world, rather than anxiously striving for status and wealth. You’ll learn the key spiritual disciplines and emotional honesty that foster spiritual growth. Properly understood and applied, the Lord Jesus’ message in Matthew 5 to 7 is truly life-changing! Would you consider publishing this book in ‘hard copy’ form? I am so blessed by how you have made Jesus’s teachings more accessible to my heart and how you have further expanded the work of God through Dallas. It is so spiritually powerful in truth, grace, love, and life to transform my heart to the character of Jesus. Thank you! Is it possible to purchase. The 42 page booklet on line or is it something that you put in the mail? Hi Merv, when you order the book through the link you will be emailed the PDF copy of Jesus’ Greatest Teaching to download. Also at the time of purchase you can connect to the iTunes app store and download a free app called Gumroad if you would like to read the booklet on your electronic devices.